The vineyard is acknowledged as the greatest influence on wine quality and it’s here that most of the work and thought are focused. The desire to be connected to the whole process of growing wines drives the decision to be a single vineyard producer. 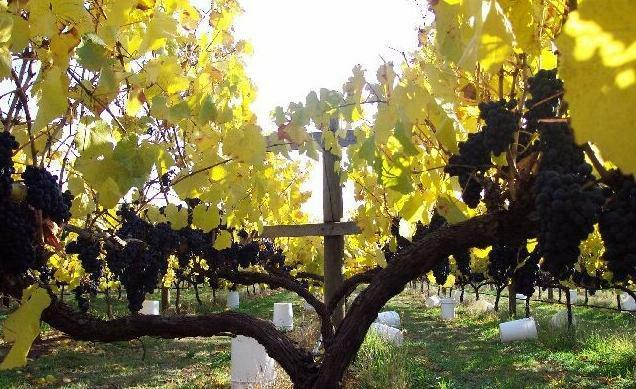 The first vines were planted in 1991but problems with clonal identification and quality of planting material resulted in these vines being removed. The hard work of planting was repeated in 1992. 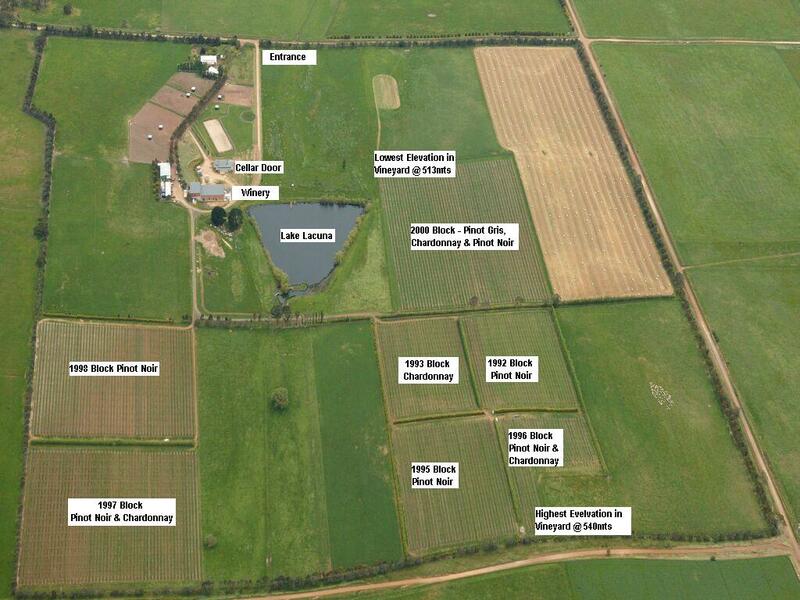 Subsequent plantings (1993 to 2000) have seen the vineyard grow to 14 hectares (33 acres). The majority of the area is planted to Pinot Noir (69%), with Chardonnay (26%), and a small area of Pinot Gris (5%). Multiple clones are used – for Pinot Noir they are 114, 115, MV6 and some Mariafeld and D5V12 – while for Chardonnay they are P58, I10V1, I10V3 & I10V5. This clonal spread adds some complexity to each variety. The trellis is horizontally divided – mostly the Lyre trellis system but with some Geneva Double Curtain (GDC) – both use two walls of foliage resulting in a greater surface area for sunlight interception and heat penetration, increased airflow, less crowding within the canopy and lower disease pressure. The above photo is a profile of the Lyre Trellis divided canopy. The double wall of foliage & the space between increases sunlight pick up , UV penetration & airflow through the canopy. This combination naturally reduces disease, maintains vine health & maximises fruit quality. Our farming practices started along the sustainable agricultural model, and we’re moving further down that road by firstly ceasing to use herbicides (6 years ago now) and have seen a marked improvement in the soil micro fauna and the resulting increase in organic matter is staggering and bodes well for a healthy future for our vines. We will continue to update this page with more information as the blog evolves…thanks for reading! We aim to keep it coming and update so you can follow the life of a vineyard/winery. Thanks!